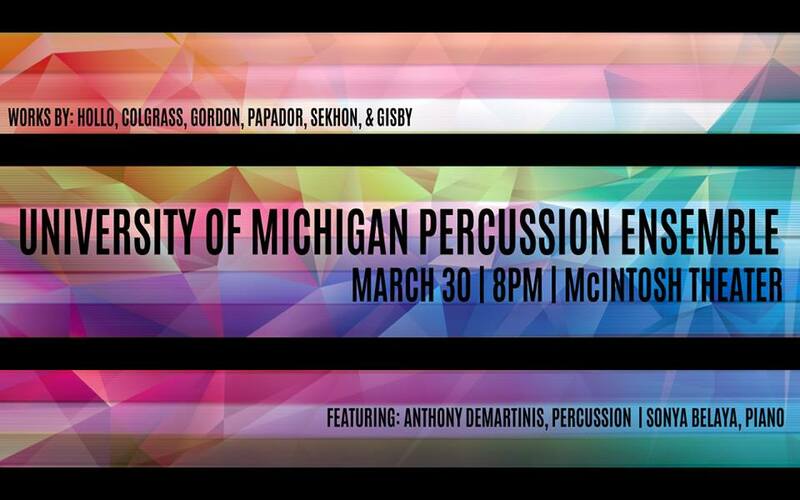 Many thanks to the University of Michigan Percussion Ensemble (Jonathan Ovalle, director) for their excellent performance of Austerity Measures on March 30th. I don’t often get to travel to performances of my music, so it was a treat to make the short drive to Ann Arbor to hear the concert. 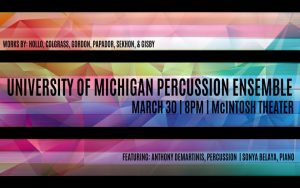 The program was excellent; all of the works had some great theatrics, timbres, and complex interactions among the ensemble. The students played wonderfully.